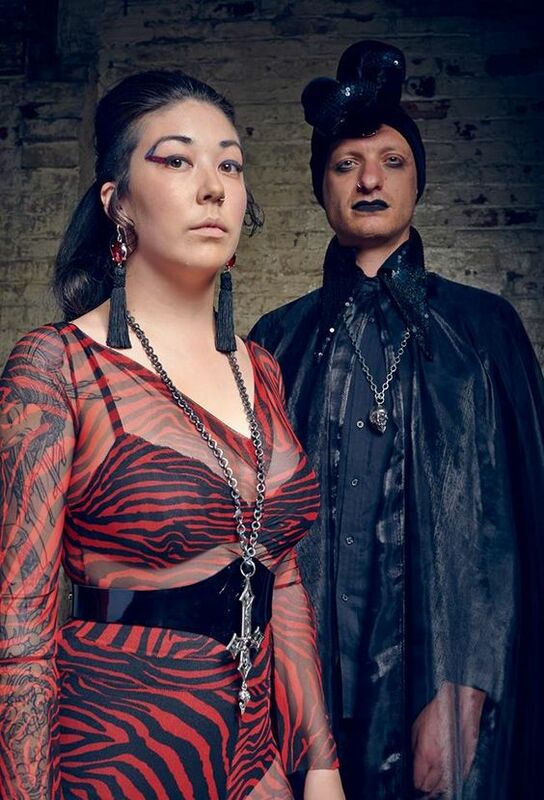 Melbourne’s The Night Terrors offer a mind-melting mix of dark synth magic, thunderous dreamscapes and other-worldly electronica. Dressed by Edgeley with jewellery by Metal Couture for Dress Loud at Bakehouse Studios. From left to right, Sarah Lim wears red and black zebra print mesh Sicilian Widow catsuit, Damien wears lace and mesh Glampire t-shirt, Miles Brown wears velvet and sequin turban and full length Miles cape in black organza with elongated sequin collar.